Nippon TV (one of the major networks in Japan) has featured Unnata Aerial Yoga, and Sacred Sounds Yoga in New York City, in their weekly reality show / documentary entitled: “Woman on the Planet”! 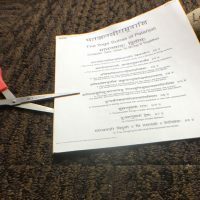 The program features a female individual that has decided to come to a foreign country to start her second life; pursuing her dreams and ambitions. In addition to following her daily life, the program introduces some aspects of daily living in her country of choice. The female subject (Asuka Sato) is interested in organic, vegeterian/vegan foods and yoga. The timing of this piece couldn’t be better, as we’ve just scheduled an Unnata Aerial Yoga Teacher Training in Japan! 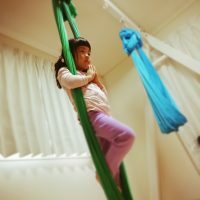 Unnata Yoga teacher Misato Taniguchi of Aerial Yoga Japan will be hosting this Teacher Training program in Tokyo, and we are so very excited to be working with her there in her home town. More information can be found on the Tokyo Teacher Training page of this website. I’m quite certain I will learn a lot of new stuff right here! Best of luck for the next!